We were in El Salvador for a short three days, but it was packed with excitement! 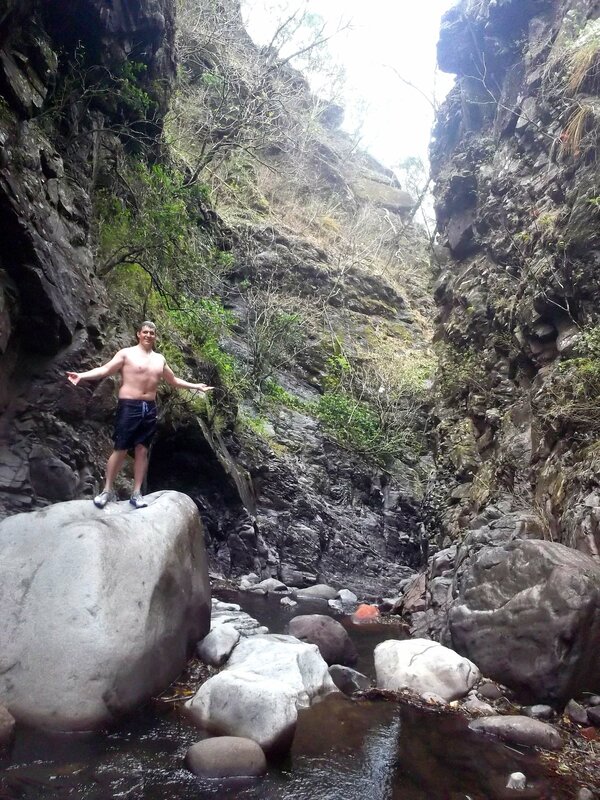 Despite the fact that I got food poisoning from the local food in Antigua, Gautemala, I still had the best time so far on the waterfall tour in Tacuba, El Salvador. I loved hiking through the tress and hoping from rock to rock. 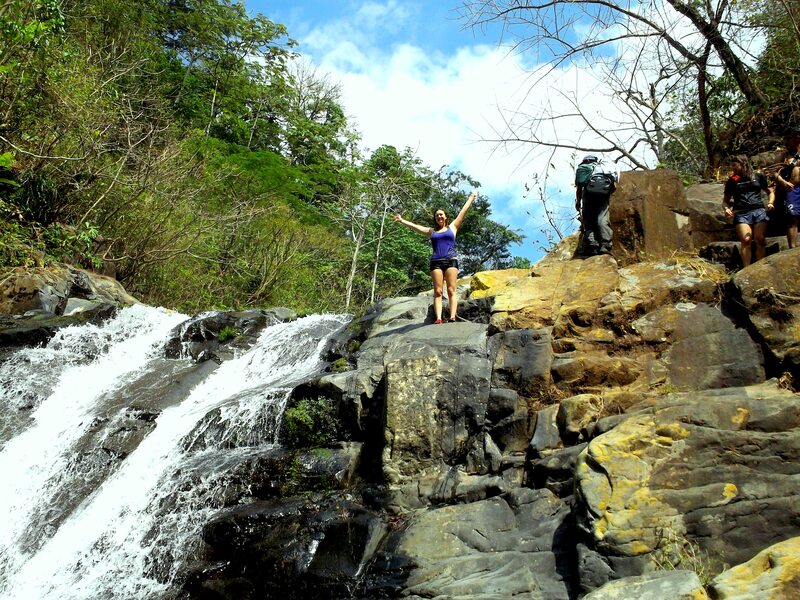 And especially jumping from the waterfalls – It was a huge adrenaline rush! I hope Matt and I go on more tours like this soon. The hostel we stayed at was Mama y Papa; the two of them were caring as ever, as well as the other people in the hostel. With me being sick and all, I was taken care of like I was part of the family. I thanked one guy that was staying there for helping me and he responded “No problem. That’s what were here for; to help each other”. I would’ve liked to stay there longer. 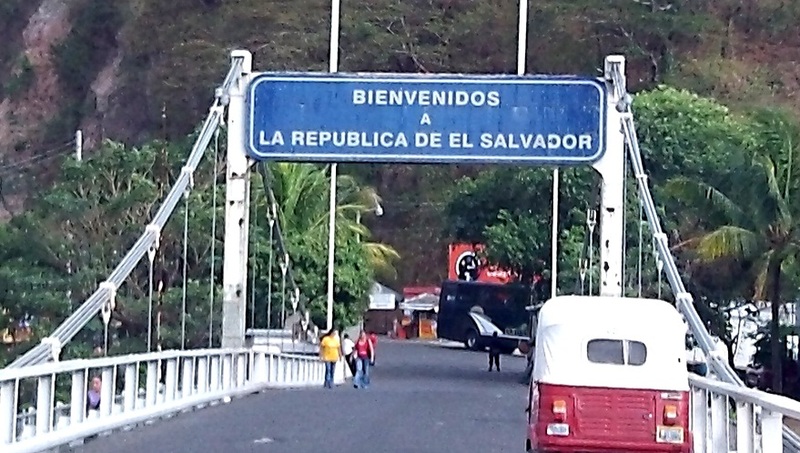 The border crossing into El Salvador was a piece of cake. As for crossing into Honduras earlier today, well, that was a little harder and way more time consuming. Since we still don’t have a license plate it makes crossing into different countries difficult. The only way we got into Honduras today was by paying a $20 bribe. I doubt that will work when trying to get into Costa Rica. Guess we’ll just have to wait and find out. Anna, hope you arrived safely in the next country…is it Honduras? Looking forward to reading about more adventures! Love ya Sharon.